Now that the smart P&IDs have been around for a few years, the bugs and inconsistencies within the software have been ironed out and the benefits have become clearer, below are four main benefits of using smart P&ID systems over traditional basic methods. 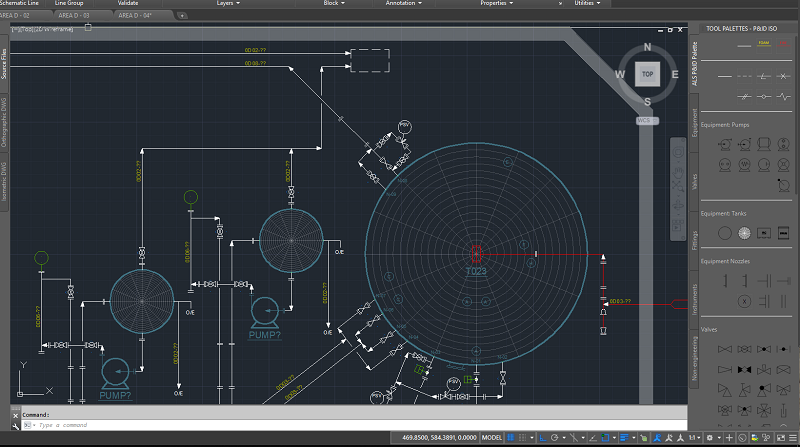 With any true P&ID designer, the main concern over drawing P&IDs (after accuracy) is consistency, so if someone for example opens any of their drawings, they are expected to see lines spacing, line numbering, asset numbering, valve alignment typically the same across all P&IDs. This is fairly easy when you only use only one P&ID designer, but if you have a large project, you’re more inclined to have multiple operators, which increases the chance of inconsistency due to different operators having different drawing styles. With smart P&IDs most inconsistencies are removed because asset tagging including nomenclature, line numbering, symbol, templates, fonts are all built into the template files and force a user to use the correct standard and furthermore there are checks to make sure drawing standards are adhered too. The initial setup of the file templates take time, individual blocks (symbols) need to transferred across with their correct corresponding annotation (asset tag format); drawing, asset and line number nomenclatures, drawing borders; client and project details. This saves a lot of time compared to traditional methods where the information would have been added manually. The bonuses smart P&IDs offer is that everything that gets put into the P&ID gets logged into a database, this enables us to create custom reports to extract line lists, equipment lists, valve lists. The traditional method would require someone to manually monitor the P&IDs and list the valves or line lists; which can be very time consuming and is open to human error.